Anyone who has ever had a conversation of the personal nature with me that lasted more than twenty minutes probably knows that I am a huge fan of Natural Family Planning (NFP). It's no secret that I love the NFP method for spouse communications and knowing/loving/respecting the body's design, and that I generally oppose introducing artificial chemicals, devices, elective surgeries and petri dishes into the reproduction process or 'marital embrace'. Most of this comes from my Catholic roots and beliefs about how God designed marriage, sexuality, and the sanctity of life; but it also meshes really well with logic and science/bioethics*... and with my general distaste for pills and procedures when my body might be be just fine without them. So it shouldn't be a huge surprise that there would be some overlap in this ideology into how I plan to handle my pregnancy and birth. 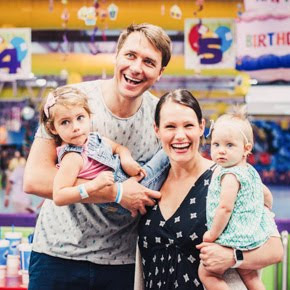 I had always known I wanted to "try" to have a natural birth, but never really looked into what that would entail.... until I met my husband, who is very passionate about womens' ability to birth naturally and the medical community's tendency to convince them they shouldn't. Before we were even trying to get pregnant (maybe before we were even married, I can't remember), he encouraged me to watch two of his favorite documentaries: Orgasmic Birth and The Business of Being Born. They really made me think. He is as passionate about natural birthing as I am about ending abortion if that tells you anything. Anyway, I am not as passionate as some about natural vs. medicated birth (it's not a cause I would dedicate my life to) but I definitely know that my preference for bringing my own family into the world is to go all natural. I also know that I really like and trust my OBGYN (who is totally supportive of natural birth and who I trust to determine if a natural birth is not a safe option for me when that day comes) and that I want to give birth in a hospital, at least for my first. If it were up to Dan I would be giving birth in a tub in our basement... but I'm just not there yet. So... the balance between... We looked into the Bradley Method. We had first heard of it when my doctor recommended it, and then I learned from my mom that my parents did Bradley Method when she had me back in the 1980's -- so I'm a "Bradley Baby" myself. I've also encountered a few friends who took the classes and loved them. 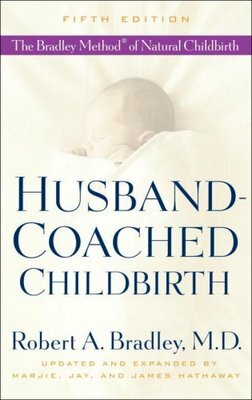 Basically it's a method for husband-coached natural childbirth, developed by Dr. Robert Bradley in like the 1950's and 60's back when it was unheard of for women to give birth without being drugged up and strapped to a cage, and men certainly didn't go into the delivery room! It trains you how to tap into a woman's mammal instincts for pain management and to practice healthy nutrition & exercise; gives you all kinds of real knowledge about the labor and birth process and how to handle different scenarios; teaches relaxation for all the months of pregnancy and then labor/birth; and gives the husband all kinds of tools in his tool box to be the best coach and support for his laboring wife. We went to class #1 of twelve last night in Queen Creek and we are pretty stoked. Shout out to our teacher who we can tell is going to be a wealth of knowledge and a great resource and friend to us during this latter half of my pregnancy. Also a shout out to my doctor, who not only runs a medical practice where dignity of women, focus on family and sanctity of life are top priorities, but also is supportive of his clients who want to have natural births and doesn't insist on them sticking their feet in stirrups. And a major shout out to my husband, Daniel, who is going to be so enthusiastically amazing when the time comes for me to endure the athletic event that is labor and birth. Now, on this lovely afternoon of my lovely day off work, I am going to go do my homework: daily birth squats, tailor sitting, butterfly, pelvic rocking, walking, and relaxing for ten minutes. Yes please. Julie, I went all natural and it was the best thing ever. Granted, I don't know any other way but I felt like I accomplished something on my bucket list. It made me feel empowered and also IN CONTROL. I, too, also watched the Business of Being Born prior to Ellie's birth and it was very informative. Knowing you, I know that you are strong and you are a good advocate for yourself - so you don't need to worry there. Honestly, I feel like the whole experience completely changed me. I am a different person now.